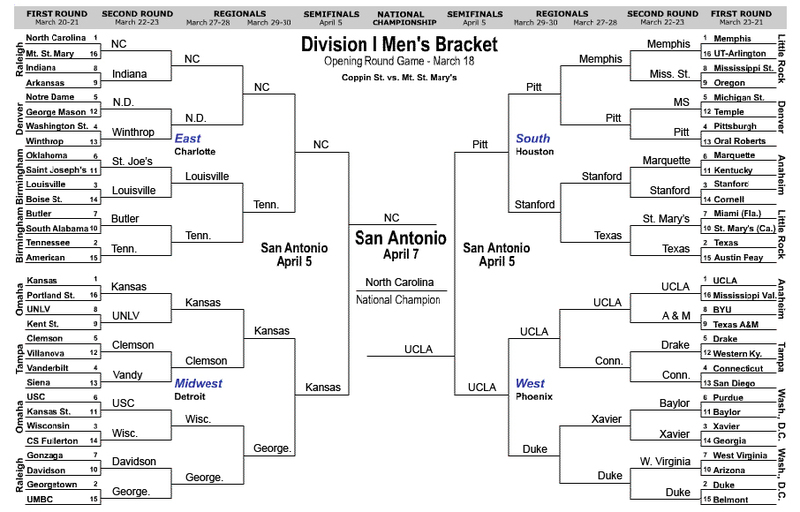 President Barack Obama filled out his March Madness bracket today! As part of an annual ESPN segment the network likes to call “Barack-Etology”, the President took a moment to speculate wildly about his favorite college basketball teams. This is fun every year, but it was extra special in 2016 because it’s the last NCAA tournament that’s going to take place while he’s in office. To see how the President’s done in the past, let’s take a look at his picks for the final four in each of his previous seven years in the White House. Unfortunately, Barack doesn’t have great luck when it comes to choosing brackets, but you know what they say: “unlucky at brackets, lucky at… achieving most of your stated agenda while serving as chief executive of the United States”. You can also learn a little more about the President’s bracket, including his pick for the Women’s NCAA tournament, by visiting this link to Whitehouse.gov.